SEC Chairwoman Mary Jo White is asking for public pre-trade prices to be distributed and for dealers to be more transparent. The Securities and Exchange Commission wants to require the public distribution of pre-trade pricing information in the fixed income markets. 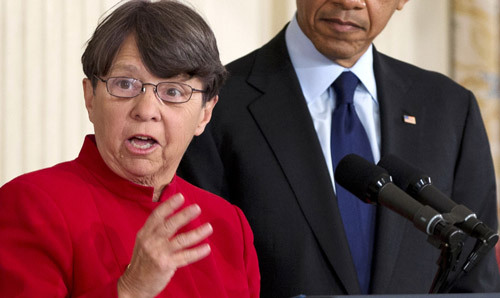 “This potentially transformative change would broaden access to pricing information that today is available only to select parties,” said SEC Chairwoman Mary Jo White. White discussed this regulatory initiative during remarks to The Economic Club of New York on Friday afternoon. This initiative, which White said was referenced in the commission’s 2012 Report on the Municipal Securities Market, would require the public dissemination of the best prices generated by alternative trading systems and other electronic dealer networks in the corporate and municipal bond markets. “[W]e must be mindful to strike the right balance of compelling the disclosure of meaningful pre-trade pricing information without discouraging market participants from producing it because of concerns that it will compromise trading positions,” she told the audience gathered at the New York Marriott Marquis Times Square. The SEC plans to engage in thorough discussions with market participants and analyze the pricing data already available to assess how best to achieve their regulatory objectives. “Properly implemented, rules providing for better pre-trade pricing transparency have the potential to transform the fixed income markets by promoting price competition, improving market efficiency, and facilitating best execution,” White said. White also addressed the conflict of interest between investors and intermediaries, asking for more transparency. Conflicts often arise when exchanges and dealers act together to control competition among dealers in setting their prices. White said problems can also arise when dealers insert themselves between buyers and sellers when they are not really needed. She added this often happens with actively traded products where there are usually a large number of investors seeking to trade. A lack of transparency in a dealer’s profits and costs can also create problems because they’re trading at prices that are not determined by effective competition. Check out House Committee OKs Smaller SEC Budget Raise Than Hoped For on ThinkAdvisor.